THE LUXURY TRAVEL STROLLER: The Qbit+ has all the benefits of its little brother the Qbit, with extra premium functions engineered for maximum comfort and convenience. 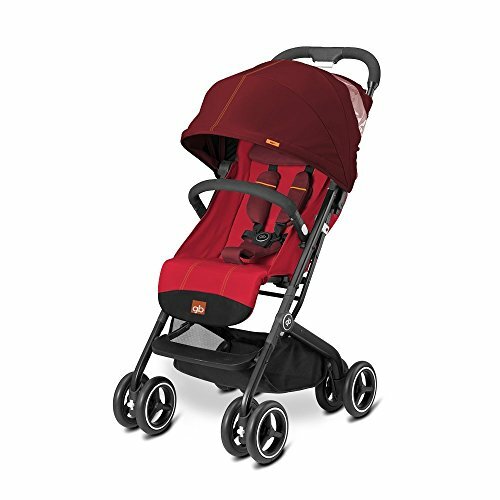 This compact buggy is packed with a list of smart features, including a reclining backrest with a true lie-flat position suitable from birth, a head hugger and bigger wheels all offering comfort and convenience from stage one. The super compact folding system can be operated using just one hand, leaving the other hand free for hand- holding or carrying shopping. It will amaze you that this compact, light city buggy can accommodate all the comfort elements of a 'big' stroller. It's built for travelling, from beach holiday trips to urban escapes. The Qbit+ can be used as a travel system (adapters optional), you can fit any gb or CYBEX infant car seat to the frame.